Stainless Steel Hoof Knife has different options and/or variations, please choose below. 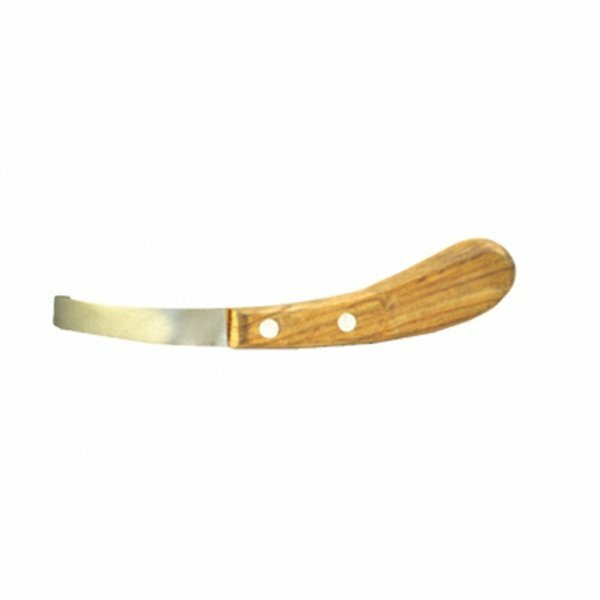 Features a wide stainless steel blade and curved wood handle. A strong, slightly curved knife with its tip turned laterally on itself to form a tunnel. The flat part of the blade is used to trim the bottom of the hoof wall and the curved part to make grooves or cut holes. Available in Right-handed or Left-handed.